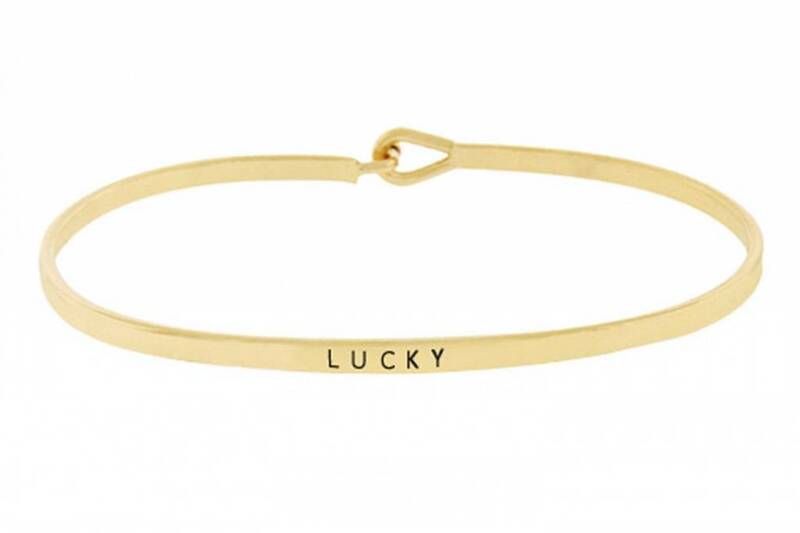 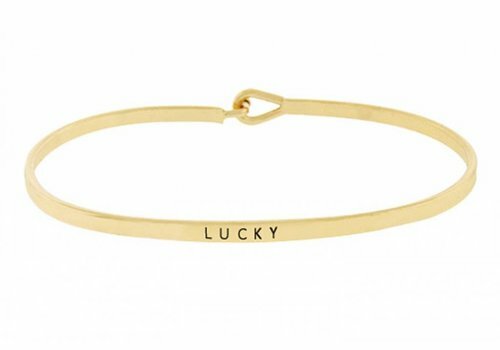 Engraved, gold plated bangle bracelet with sentiment "Lucky." 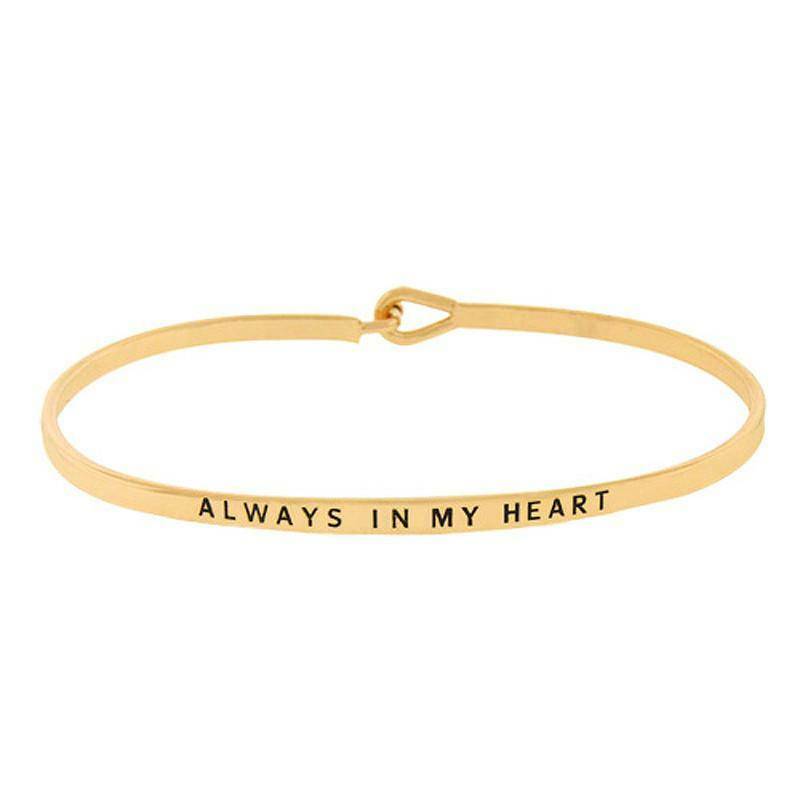 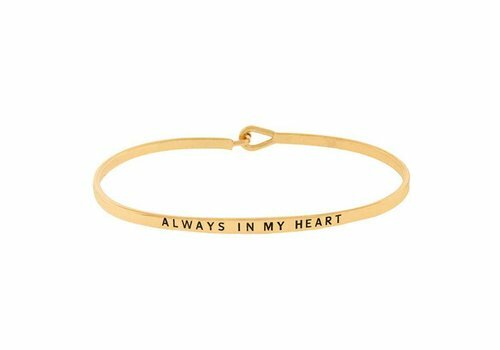 Engraved, gold plated bangle bracelet with sentiment "Always In My Heart." 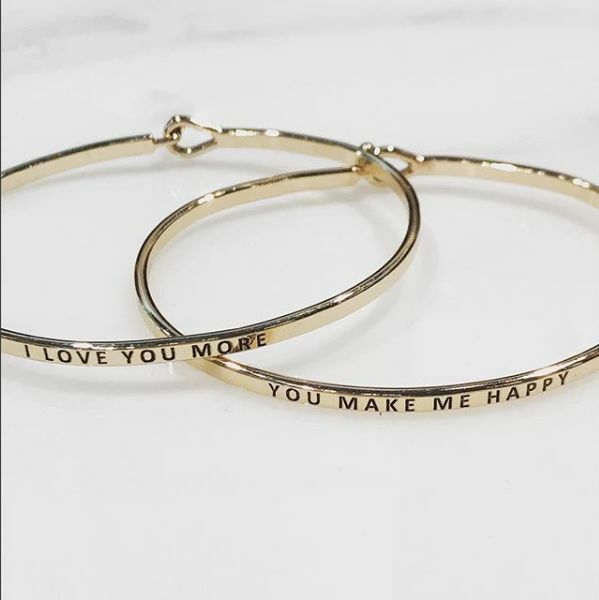 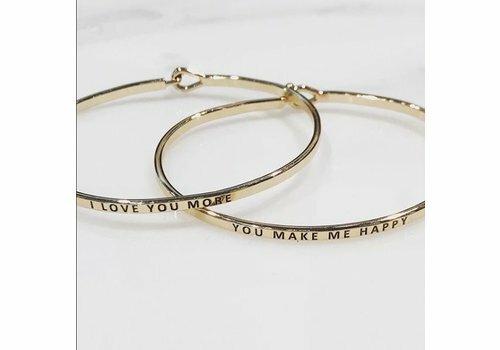 Engraved, gold plated bangle bracelet with sentiment "You Make Me Happy." 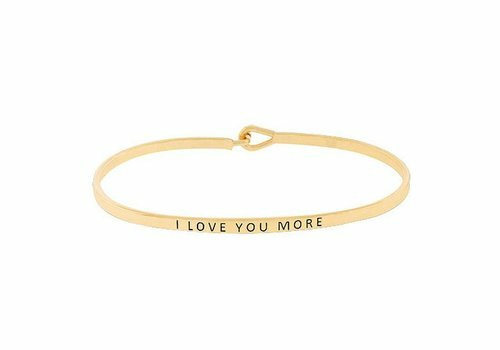 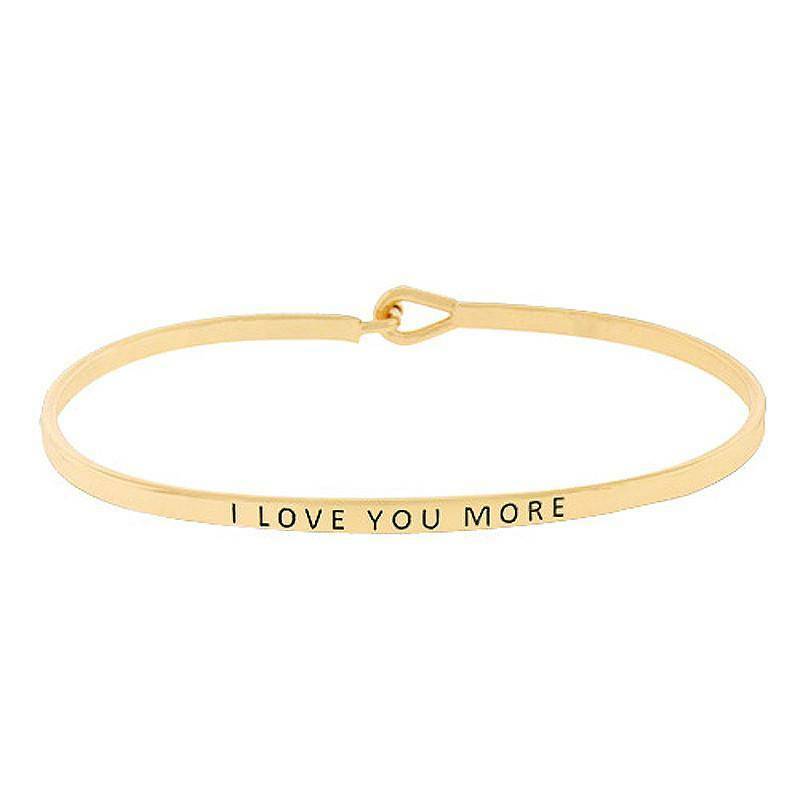 Engraved, gold plated bangle bracelet with sentiment "I Love You More." 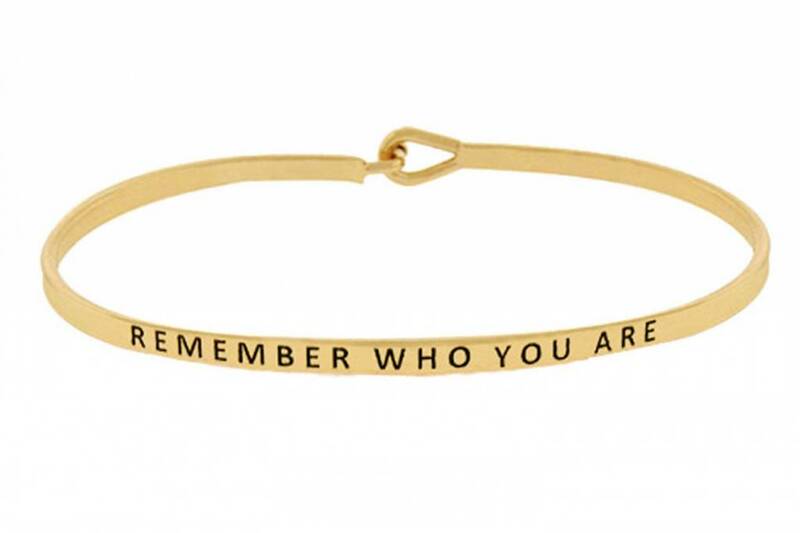 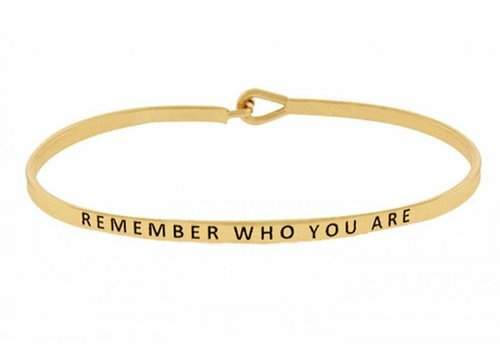 Engraved, gold plated bangle bracelet with sentiment "Remember Who You Are."